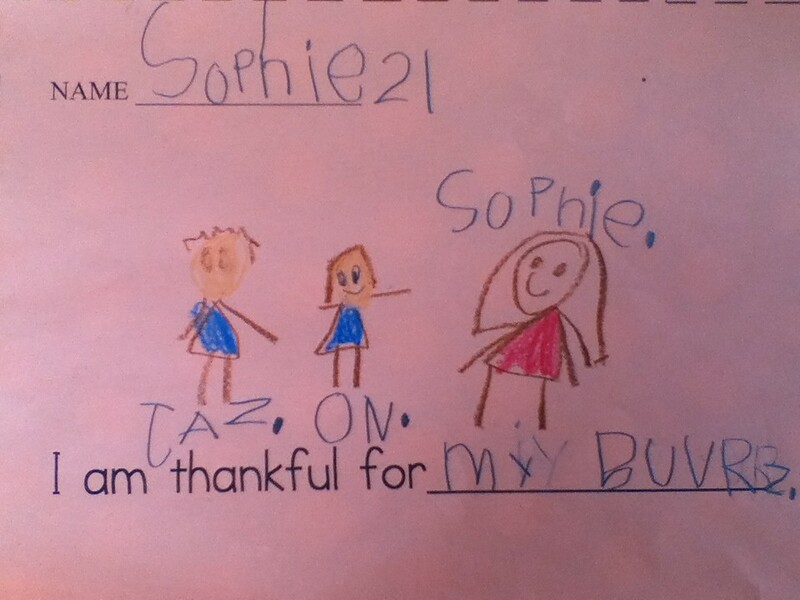 I found this in Sophie’s backpack. 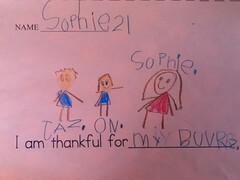 This entry was written by kara, posted on November 28, 2013 at 9:25 am, filed under All and tagged brothers, holiday, James, kindergarten, Owen, siblings, sisters, Sophie, thankful, thanksgiving. Bookmark the permalink. Follow any comments here with the RSS feed for this post. Post a comment or leave a trackback: Trackback URL.